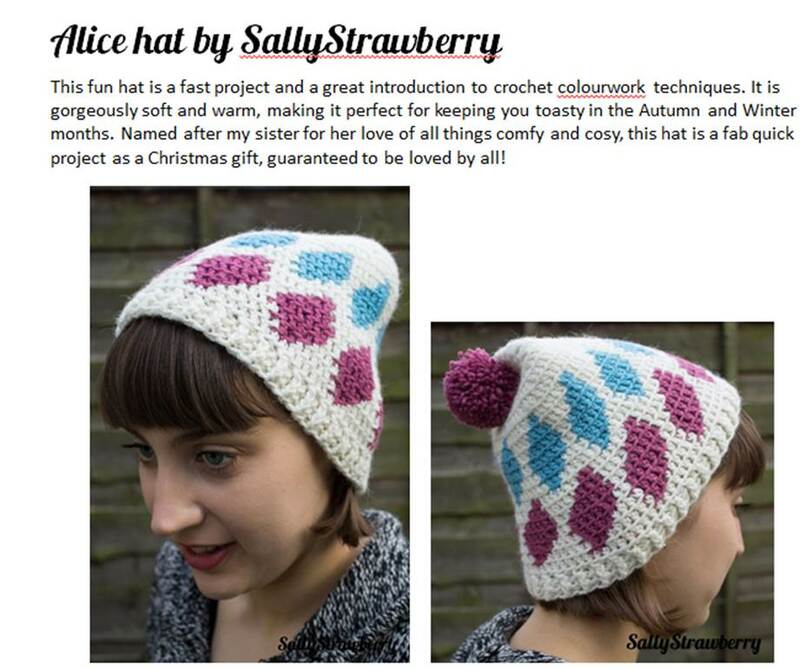 I would like to announce that I have FINALLY published my Alice Hat pattern. You may have seen this floating around on my Facebook page, oh, maybe a year ago but it is finally available for download from Ravelry NOW! Its is amazingly soft and warm mostly due to the amazing yarn, Fine Aran by Libby Summers (easily my favourite yarn!) but also due to the colourwork technique. This hat uses stranded colourwork meaning that when a yarn is not in use it is carried across the back of the work. This adds extra thickness (and therefore warmth!) to this hat. Most of the hat is crocheted into the back loop only. I hope to produce a tutorial on this soon. So, if you would like to have a go at this hat head on over here for the full pattern.